Viburnum Tinus is a beautiful and versatile evergreen compact shrub that produces brilliant blue berries and tiny white flowers in late winter months. Eve Price is a hardy and dense variety of Viburnum, popular for its multi-seasonal interest. Also known as Laurustinus Eve Price, this handsome flowering bush can grow as tall as 3 metres. Its berries are a source of food for the birds, adding further wildlife interest. Eve Price is a winter flowering plant that blooms from December to March. It produces pink buds that open into flat heads of beautiful pink-white flowers. Its broad dark green leaves provide an excellent evergreen contrast for the flowers. The flowers are followed by blue berries with metallic shine in summer and autumn. Eve Price causes a significant effect in any garden and holds seasonal interest. Viburnum Eve Price is suitable for partial shade or full sun. It will thrive sitting in a moderately fertile soil that is well-drained, planted in a sheltered spot, protected from cold dry winds. Prune them right after the flowering to maintain their shape and symmetry, by simply cutting back the longest shoots. These are easy to maintain hedging shrubs that do not demand ongoing upkeep. Its blue berries provide ornamental value to the plant but are toxic if eaten. 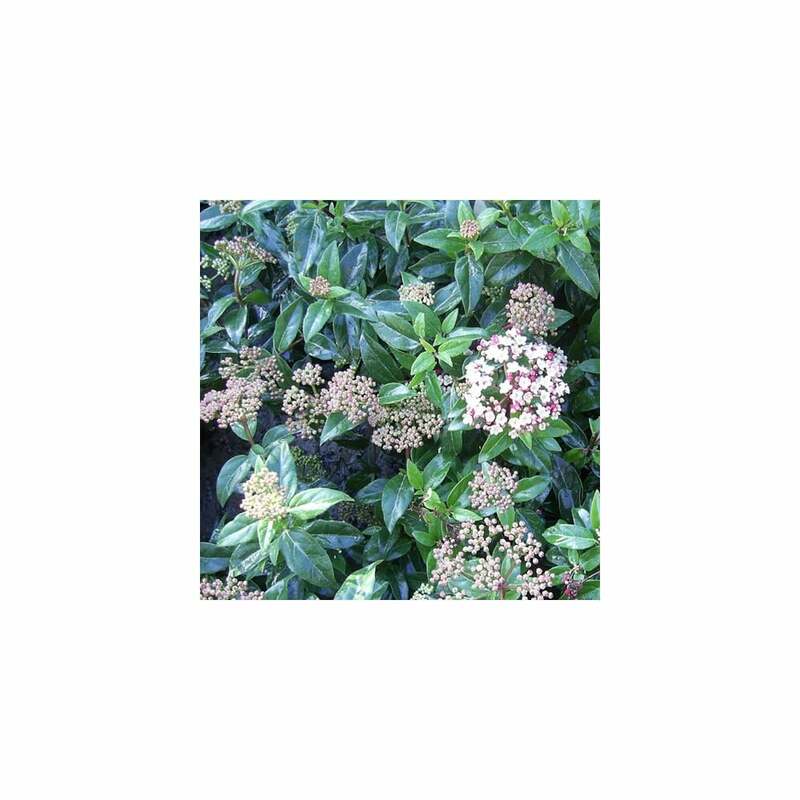 Viburnum Eve Price is great for coastal gardens. It is ideal for winter flower arranging and makes interesting informal hedge plants. Leave them to grow in mounding bush or trim them into a neat desired shape. This is a perfect plant creating spectacular display of colours with year-round interest.